"We have been fascinated by the capacity of birds to change the shape of their wings from one instant to the next," said Bret Tobalske, a UM scientist and director of the Field Research Station. "Skeletal muscle is relatively well studied, but we are going in a novel direction by focusing on smooth bird muscle." Tobalske said they will begin studying body contour feathers – areas similar to the ruff of a pheasant's neck. 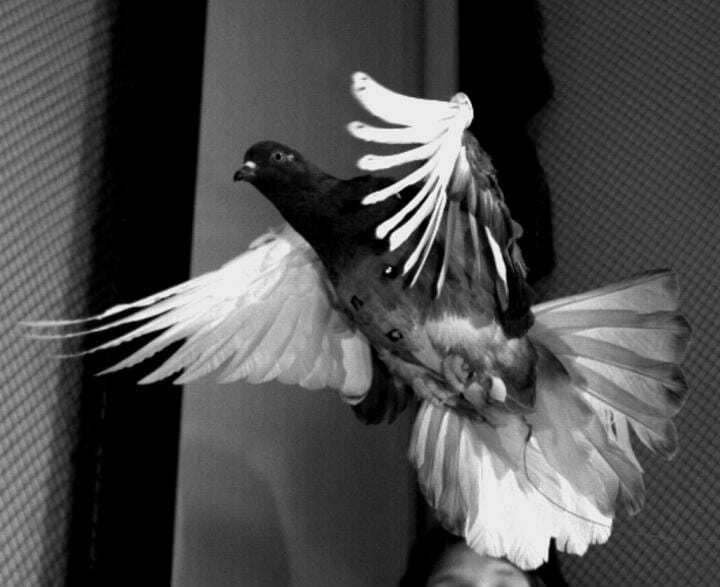 Work at UM eventually will then focus smooth-muscle activity in the wings of pigeons during flight. Tobalske's partner in the work is Tobin Hieronymus at NEOMED. Their award is an Early concept Grant for Exploratory Research (EAGER) grant, which supports exploratory work in its early stages on untested but potentially transformative research ideas or approaches. "If Tobin and I succeed, our efforts will transform understanding of limb control by revealing, for the first time, the role of smooth muscle," Tobalske said. The title of their grant is "Establishing the Feasibility of Avian Feather Muscles as a Study System for Neuromotor Control."